Known as the “mirror forest” for its impressive reflections of the Amazon during the rainy season, the Pacaya Samiria National Reserve is the second largest natural protected area in Peru, spanning over five million acres. 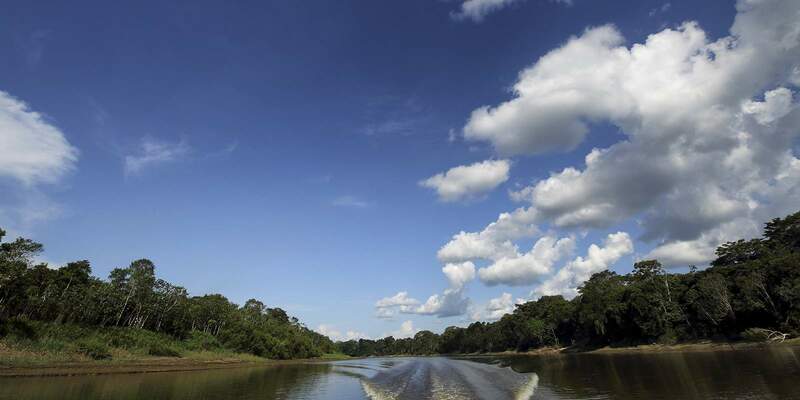 As mystic as it is sizeable, Pacaya Samiria offers visitors a once-in-a-lifetime experience within the heart of the virgin rainforest, during which Delfin Amazon Cruises is right there to guide them. 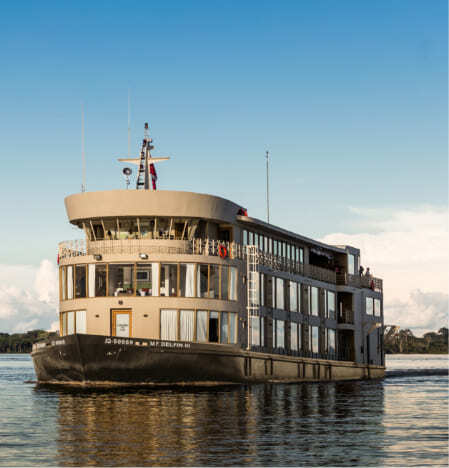 With Delfin, guests will have the chance to witness the Amazon rainforest biodiversity the Reserve has to offer up close and personal while onboard and offboard their luxury river cruises. 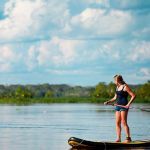 Once arriving at Iquitos, Peru, Delfin tactfully guides visitors into the Pacaya Samiria National Reserve and throughout their Amazon tour, making for an unforgettable experience. The Pacaya Samiria National Reserve is located about 180 kilometers (111 miles) southwest of Iquitos, Peru in the Loreto department, where the Ucayali and Marañón Rivers converge, thus giving origin to the Amazon River. Delfin Amazon Cruises uses this area, the largest protected flooded forest in the world, as its base during luxury river cruises, which begin and end in the Pacaya Samiria. As soon as passengers arrive in Iquitos, Peru, they will be picked up at the airport and escorted by our guides to the city of Nauta, which is where they will begin their personalized Amazon cruise experience with us. 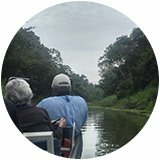 The Pacaya Samiria National Reserve is in the perfect distance from the city to allow guests to enter it an authentic Amazon experience without having to spend hours of their precious time in transport. The Pacaya Samiria National Reserve is home to over 200 species of fish – including paiche, the largest freshwater fish in the world – as well as more than 500 species of birds, not to mention the hundreds of species of other mammals and amphibians. 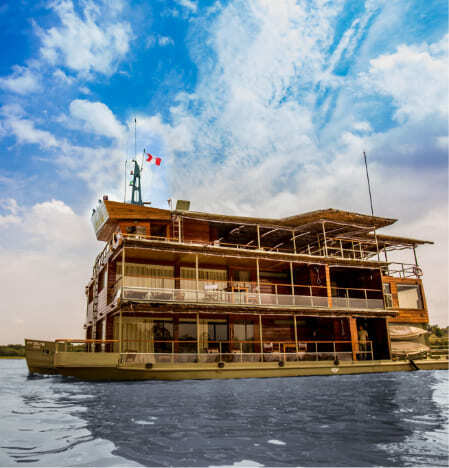 Guests of Delfin Amazon Cruises will have a chance to spot many of them, including spider monkeys, pink river dolphins, sloths, river otters, and black caiman in addition to endangered species such as the Amazonian manatee and giant river otter. 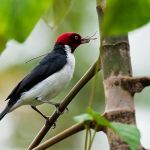 Because of the extensive flora and fauna condensed into one area, the Pacaya Samiria National Reserve has been the spotlight of many wildlife research and observation projects. 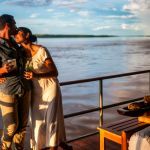 As such, Delfin encourages you to take the first step into discovering all the Reserve has to offer during your time aboard a luxury river cruise. There are multiple ways in which Delfin Amazon Cruises allows its passengers to indulge in the full Amazon experience in the Pacaya Samiria National Reserve. 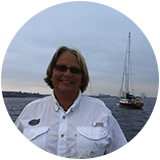 For instance, navigate and find your way through the hidden inlets and lagoons onboard our skiffs or on your own with kayaks and paddleboards during the high water season. During low water season, Amazon rainforest biodiversity moves down from the non-floodable uplands, and aquatic animals – like lizards and turtles – can be found along the fluvial beaches, making for more interesting nature excursions and hikes. Keep in mind that all activities are subject to change due to weather conditions and time of year. So, coordinate with Delfin on how we can make your Amazon trip throughout the Pacaya Samiria National Reserve one that fulfills all of your expectations. 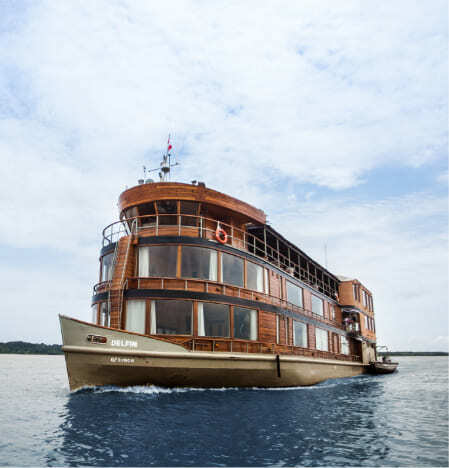 While cruising the Pacaya Samiria National Reserve, all guests will have access to their fully furnished suites aboard their luxury river cruises with Delfin. All are elaborately designed with handcrafted Peruvian artifacts, have wall-length windows allowing for views of the surrounding landscape of the Pacaya Samiria National Reserve, and include personal bathrooms with electricity and hot water, which are luxuries within the virgin rainforest. 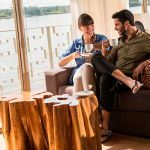 Each of our luxury river cruises also boasts an open-air sun deck, spa, gym, lounge and bar for our guests’ pleasure while onboard. Nevertheless, for those who wish to be more intimate with the Amazon rainforest biodiversity throughout the day and night, we offer guests a chance to stay in the Pacaya Samiria Amazon lodge. Ask us how you can enjoy the best of both worlds on your upcoming Amazon adventure!